Travel days are busy enough without having to factor in taxi or shuttle lines. Schedule car service and we’ll be waiting at the airport or cruise port (or your driveway if you’re just starting your trip). If you’re traveling with kids, be sure to reserve car seats to eliminate the schlep of traveling with your own. 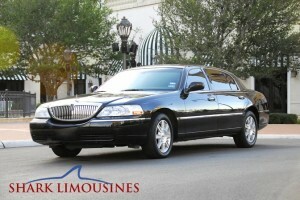 Our San Antonio limo services include airport limousines to or from San Antonio International Airport (SAT), New Braunfels Regional Airport (BAZ), and San Marcos Municipal Airport (HYI). All this for about the price of a taxi? Trust us, you’ll never go back once Shark Limo has helped ease your drive.